Jesse Weinberger, OvernightGeek University with Tom Carr, President of ASF as he purchases a few of Jesse’s books for his kids. 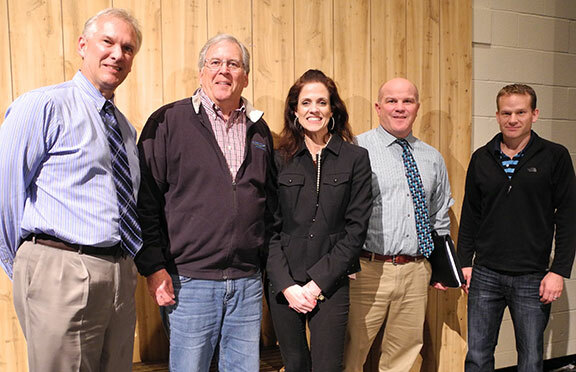 On November 7, 2016 the Aurora Schools Foundation sponsored a special event about how to keep children safe in an always connected digital society. 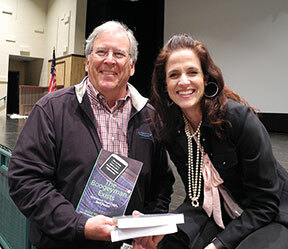 Jesse Weinberger, internet safety speaker, spoke to over 200 parents at the Aurora High School about internet safety. She spoke to kids in grades 4, 5, 6, 7 and 8 on Wednesday (11/2) and Thursday (11/3). 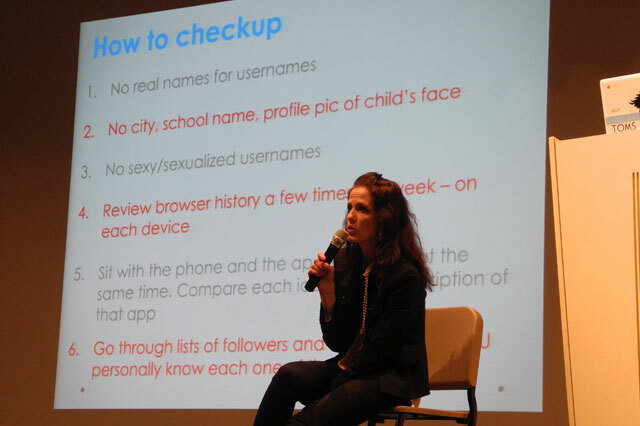 The November 7th presentation to parents was frank, colorful and a surprising summary of what she learned about our kids and their internet habits.